The technological vision of building a quantum computer does not only depend on computer and information science. New insights in theoretical physics, too, are decisive for progress in the practical implementation. Every computer or communication device contains information embedded in physical systems. "In the case of a quantum computer, we use spin qubits, for example, to realize information processing", explains Professor Guido Burkard, who carries out his research in cooperation with colleagues from Princeton University. The theoretical findings that led to the current publication were largely made by the lead author of the study, doctoral researcher Maximilian Russ from the University of Konstanz. In the quest for the quantum computer, spin qubits and their magnetic properties are the centre of attention. To use spins as memory in quantum technology, they must be lined up, because otherwise they cannot be controlled specifically. "Usually magnets are controlled by magnetic fields – like a compass needle in the Earth's magnetic field', explains Guido Burkard. "In our case the particles are extremely small and the magnets very weak, which makes it really difficult to control them". The physicists meet this challenge with electric fields and a procedure in which several electrons, in this case four, form a quantum bit. Another problem they have to face is the electron spins, which are rather sensitive and fragile. Even in solid bodies of silicon they react to external interferences with electric or magnetic noise. The current study focuses on theoretical models and calculations of how the quantum bits can be shielded from this noise – an important contribution to basic research for a quantum computer: If this noise can be shielded for even the briefest of times, thousands of computer operations can be carried out in these fractions of a second – at least theoretically. The next step for the physicists from Konstanz will now be to work with their experimental colleagues towards testing their theory in experiments. 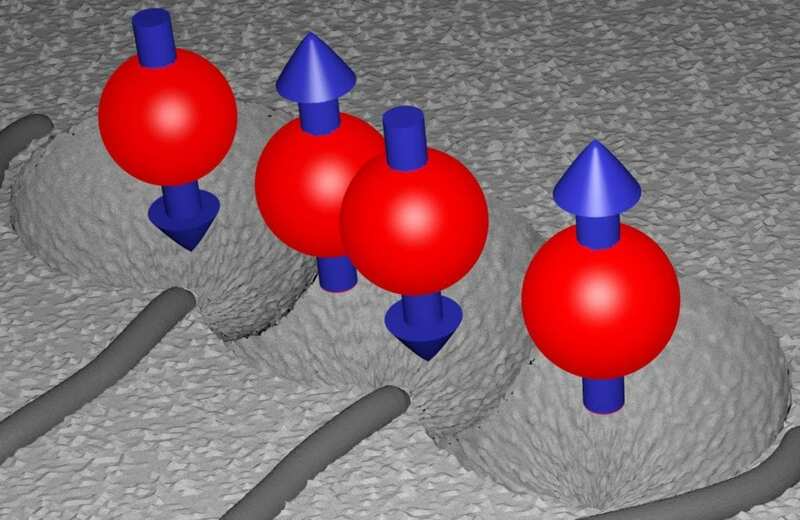 For the first time, four instead of three electrons will be used in these experiments, which could, e.g., be implemented by the research partners in Princeton. While the Konstanz-based physicists provide the theoretical basis, the collaboration partners in the US perform the experimental part. This research is not the only reason why Konstanz is now on the map for qubit research. This autumn, for example, Konstanz attracted the internationally leading scientific community in this field for the "4th School and Conference on Based Quantum Information Processing". Guido Burkard and his team of physicist at the University of Konstanz publish a theoretical concept to realize the processing of quantum information. The study was published in the current issue of the renowned journal Physical Review Letters.